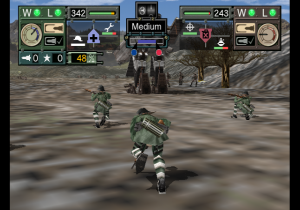 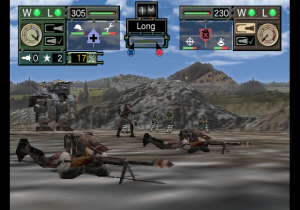 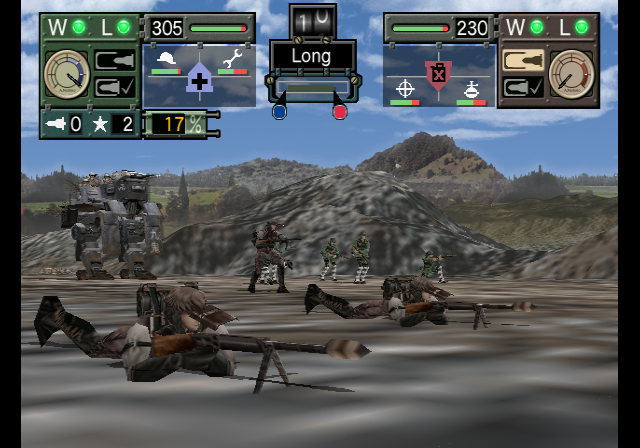 In 1996, Sega released Iron Storm, an alternative history strategy game based on the long running Daisenryaku series for the Saturn. One of the game’s designers, Masahiro Hinami, would go on to join the newly created Konami Computer Entertainment Studios, which was created in August of 2000 though the merger of Konami’s Sapporo and Yokohama branches. They would begin working on a new alternative history strategy title led by Masahiro for the upcoming PlayStation 2. 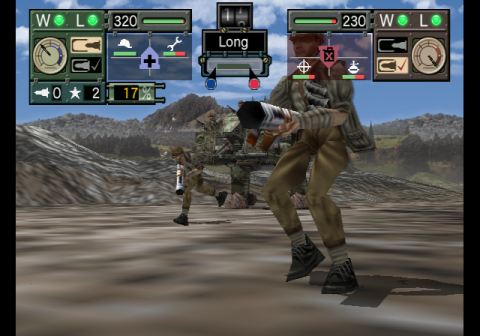 Other former Sega developers from the Iron Storm team who joined Masahiro at Konami included Yasushi Fujisawa and Keiichi Matate, in the roles of main programmer and main designer respectively. A late addition to the team who would go uncredited in the final game was Yukio Futatsugi, a personal friend of Masahiro, who, having essentially created the Panzer Dragoon series, left Sega after Team Andromeda was dissolved in 1998. 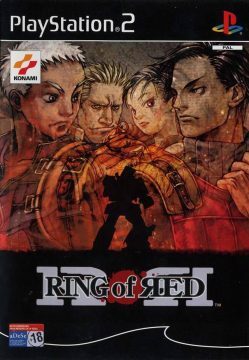 At Konami, Yukio would be responsible for world and battle system design on Ring of Red. 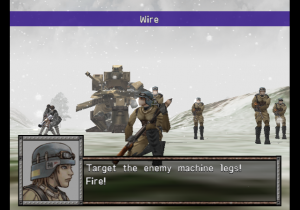 While Iron Storm‘s alternative history was limited to allowing Germany or Japan to win WWII by invading the United States, Masahiro’s new project, Ring of Red, would exist in a far different version of the world. 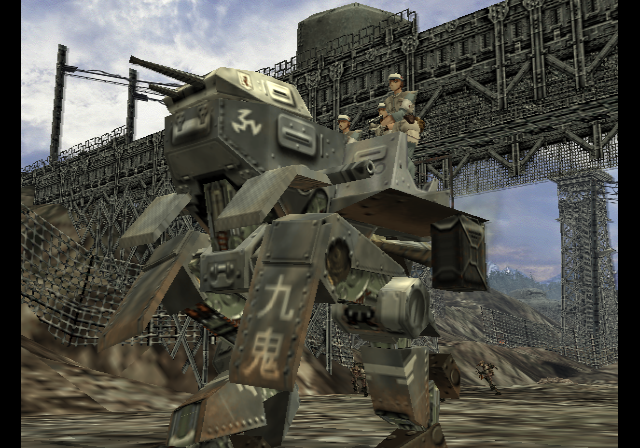 In the wake of World War II, Japan would be split in half along idelogical lines – North Japan would be communist and South Japan would be democratic. In the 1950s the Soviet-sponsored governement of North Japan would invade the Western backed government of South Japan, in an event analogous to the real life Korean War. 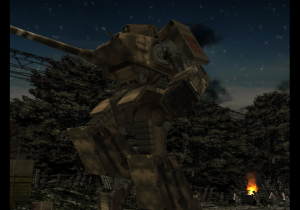 While the invasion would fail, much like the Korea War, no true peace treaty would be signed, and thus the conflict between North and South Japan would continue. By the 1960s, when the game’s events takes place, both governments would be covertly supporting rebels in each other’s countries. 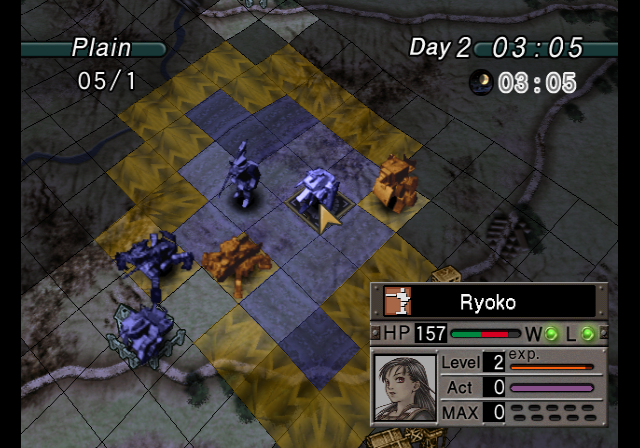 In many ways Ring of Red is similar to Square’s Front Mission series. 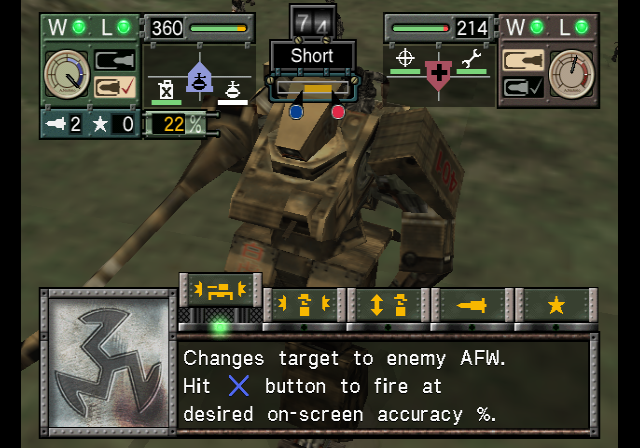 Beyond its alternate historical fiction setting, all of the main characters pilot mechas called “AFW”s (“Armored Fighting Walker”). 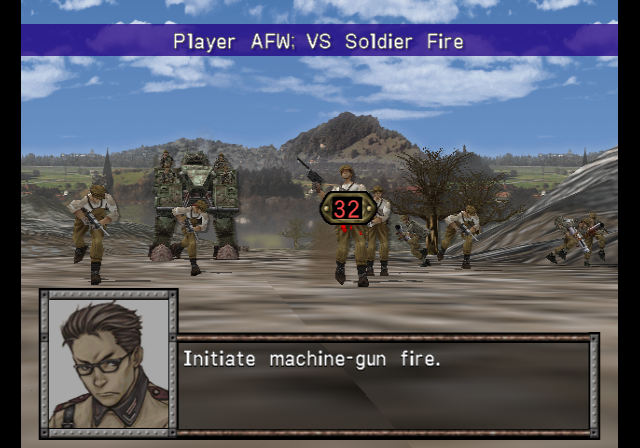 The player charachter, born to a German father and Japanese mother, is an up-and-coming AFW pilot with no actual combat experience at the start of the game. 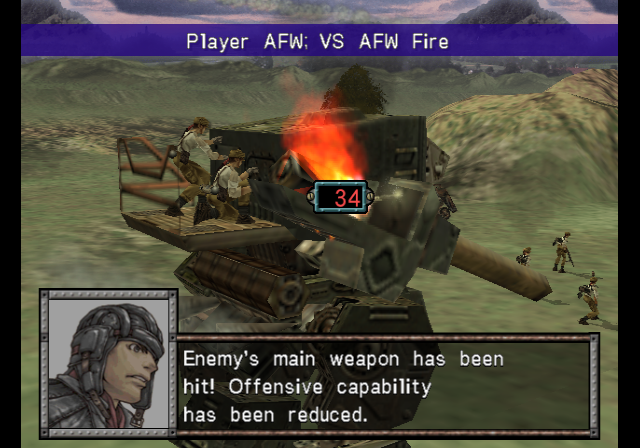 Employed as a test pilot by the biggest AFW producer of South Japan, he is made a provisional captain to lead the unit infiltrating North Japan. 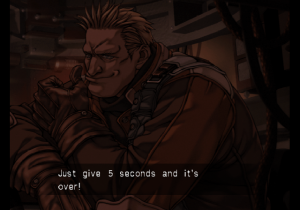 His German surname is something of a running gag, as other charachters come up with different nicknames to use in lieu of it. 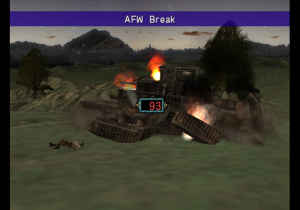 The destruction of his AFW will result in an immediate game over. 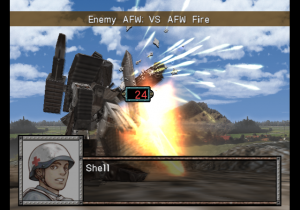 He pilots a standard AFW. Seperated from both her parents at a young age due to the divison of Japan and the following war, she is a fellow test pilot. 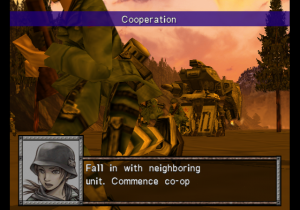 Her sharp tongue and single mindedness causes concern by her squadmates. She pilots a standard AFW. 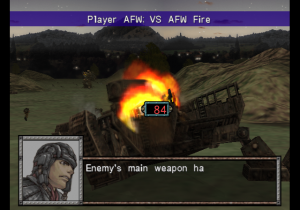 A former US marine and veteran of the Japan War, his bluntness and sarcasm apparently got him in trouble while a Marine. 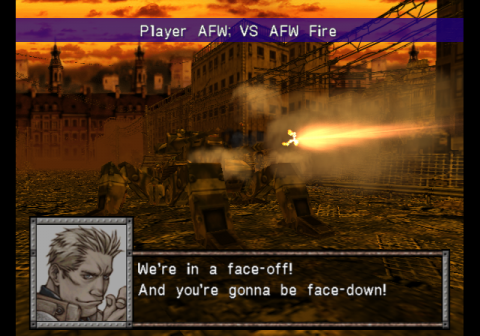 He pilots a heavy four-legged AFW. 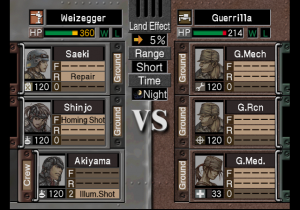 The only member of the party which is actually a member of the South Japanese Army. 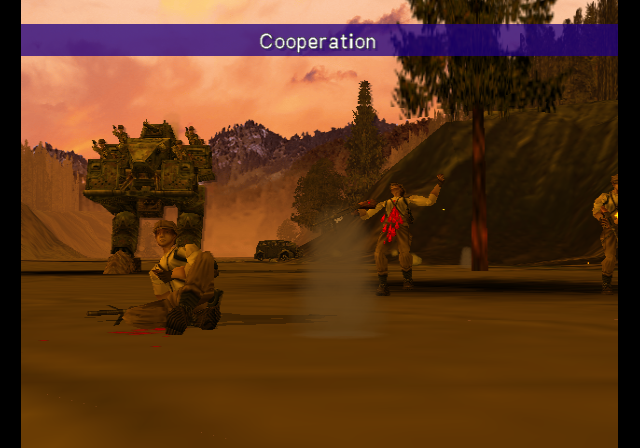 Calm, collected and with emotions always firmly in check, he serves as the groups unofficial walking encylopedia. 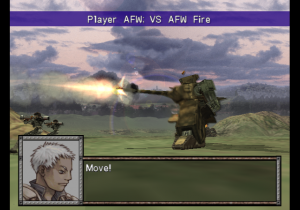 He pilots a light AFW. An Italian AFW pilot and former member of the Italian army, who is found undergoing reeducation in a North Japanese prision camp. 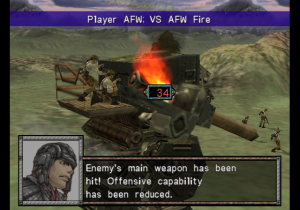 He spends the majority of his time trying and failing to woo every female he encounters. 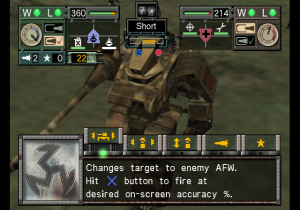 He pilots an Anti-AFW AFW. A legendary AFW pilot from WWII who gained the nickname of “Witch Wolf” for his deadly skills in taking down enemy AFWs. He leads part of the Japanese Northern Liberation Front. 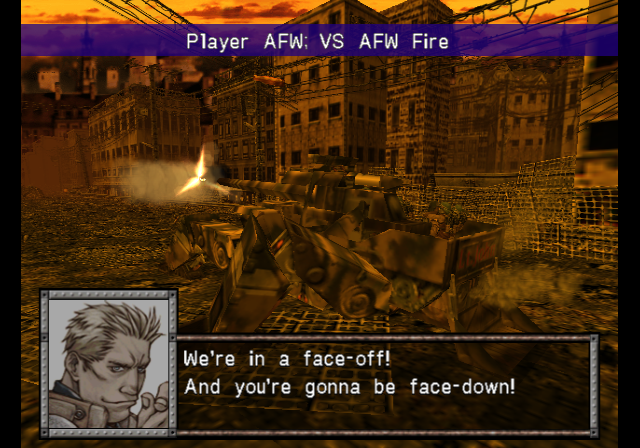 He pilots an anti-AFW AFW. 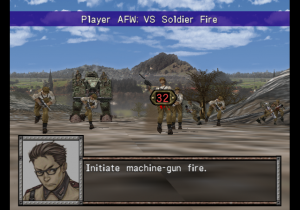 An androgynous 15 year old AFW pilot of the North Japanese Liberation Front. He pilots a light AFW. 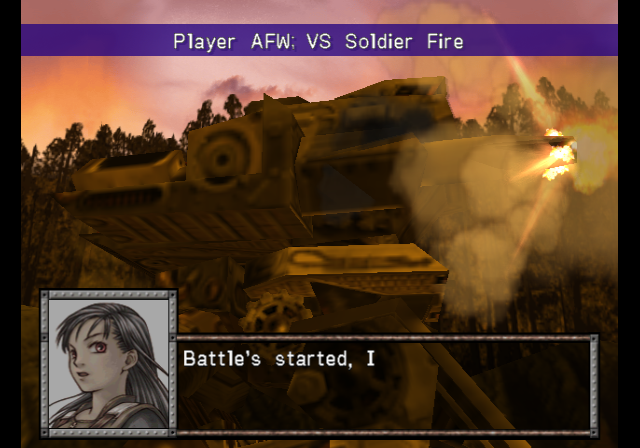 Born to Russian parents, she is the adopted daughter of Ippei and fights alongside him. 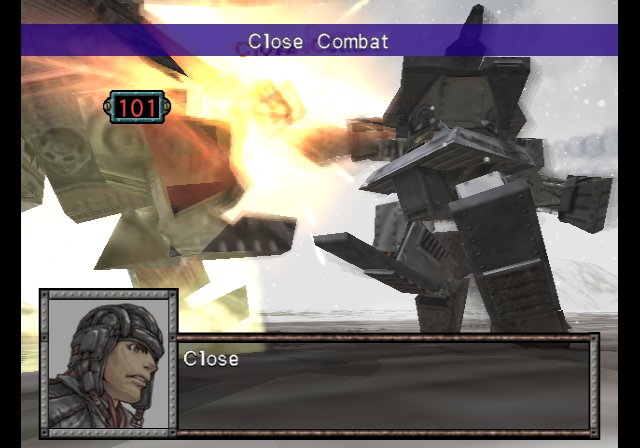 She is caring and looks out for others, especially her adoptive father. She pilots a four legged heavy AFW like John. The units liasion with headquarters, he relays the squad’s objectives and provides additional info. 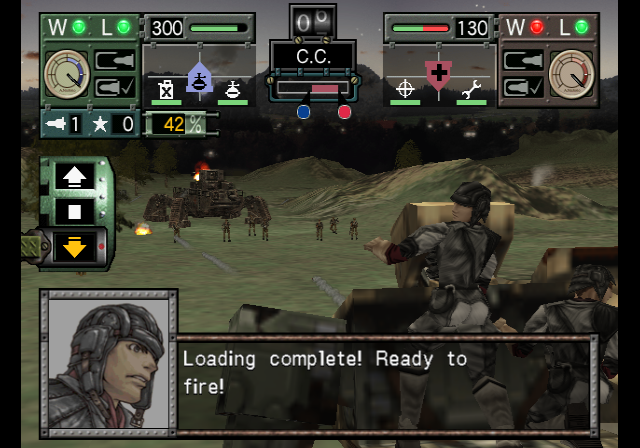 He taught at the Fuji Military Academy before being sent to help the player. 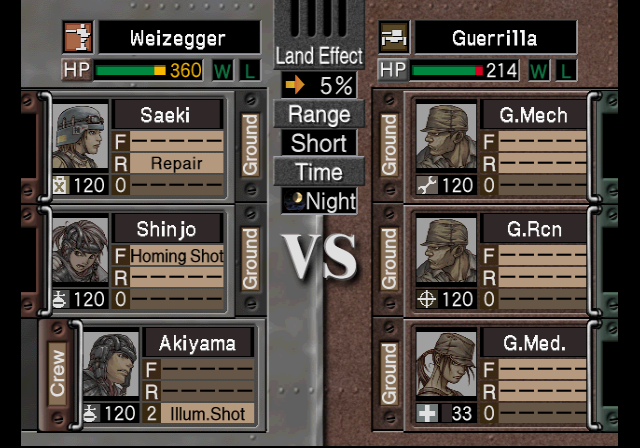 In the Japanese version he is explained to be a former Nazi party member and pionering WWII AFW vetern and tactician. 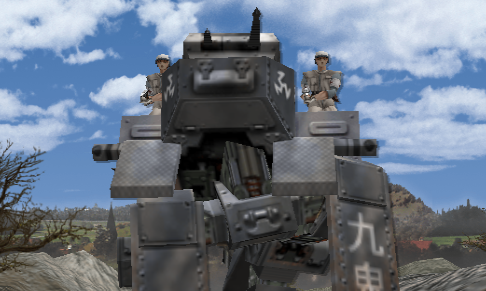 A pariah in his homeland after the war, he eventually is brought to Japan, where his past actions are overlooked as his skills are in high demand. 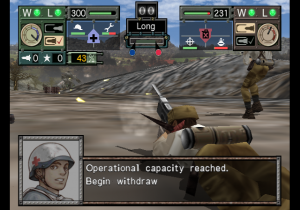 American players are just left wondering why the heck their Japanese commander looks like he belongs in the German Army. 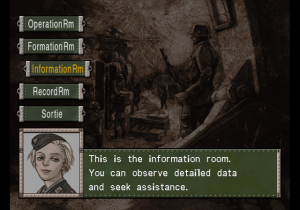 Strangely, he does not have a list name. 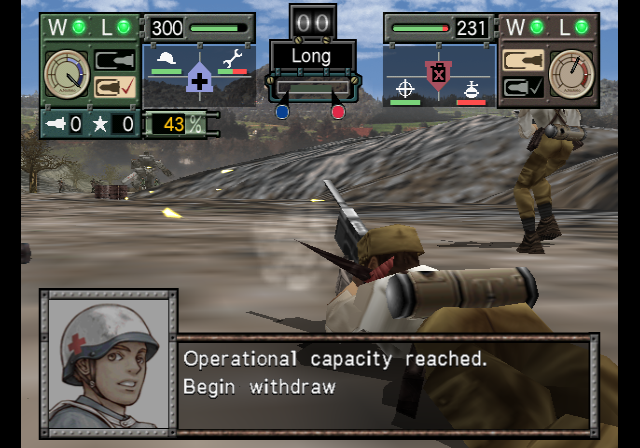 Riccardo’s boss and the architect of the current South Japanese covert offensive into North Japan. 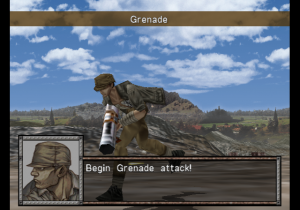 He shares a similar background to Riccardo in the Japanese version, which is likewise entirely omitted in the overseas release. An employee of German AFW manufacture Nielben GmbH. 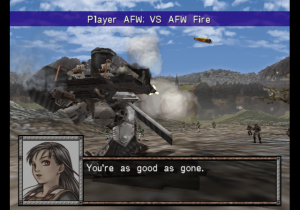 She was in South Japan as part of a joint German-South Japanese AFW project. 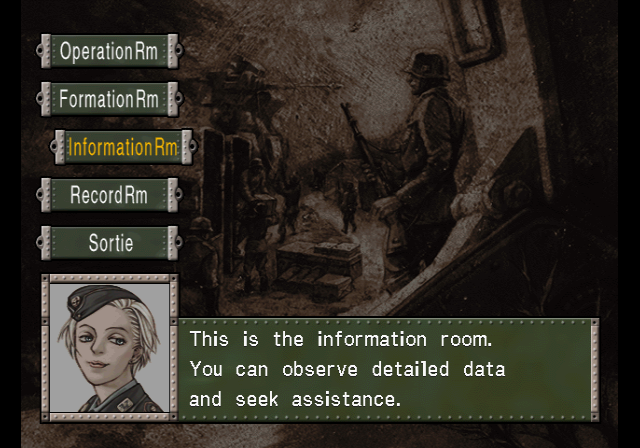 She gets volunteered to assist with South Japan operation against North Japan, acting as the unit’s logistics and supply specialist. 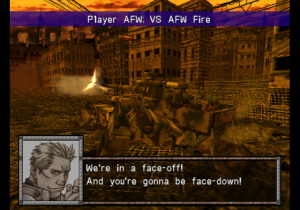 The cocky, self sure ace AFW pilot of North Japan and the game’s antagonist. 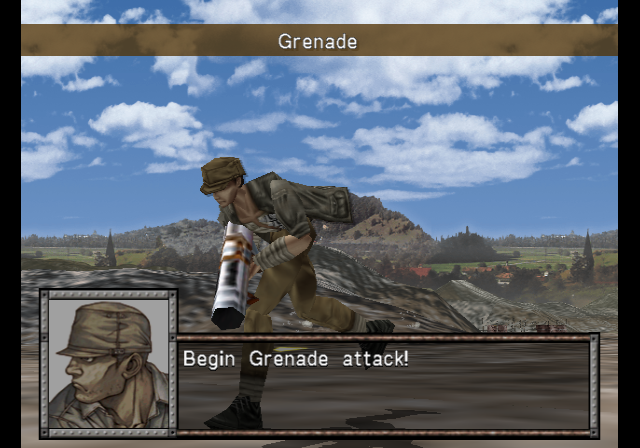 A veteran of fighting in both Japan and Vietnam, he spends much of the game taunting Masami while always remaining one step ahead. 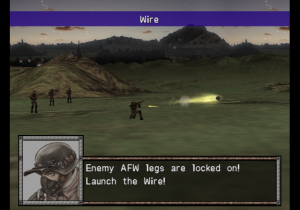 Through the games’ seventeen missions, the player will work their way leading up to eight AFWs. Before each mission, three infantry squads can be selected to accompany each AFW into combat. 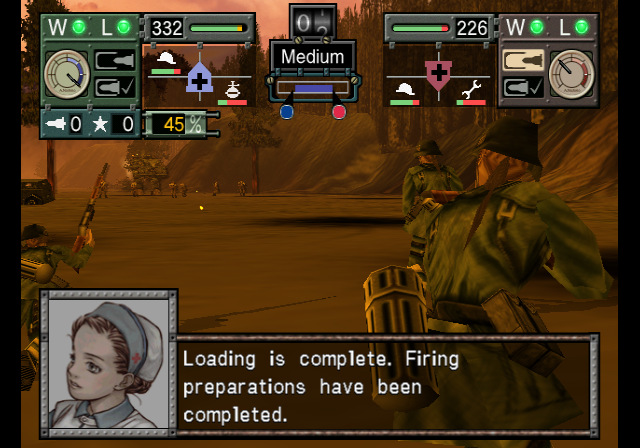 The infantry squads, which come in six basic types, vary in the types of special skills, AFW ammo they carry, and stat bonuses they provide to the AFW they accompany. The selection of the infantry squads is the only customizable part of the player’s fighting force, means that proper care makes a significant difference later on. 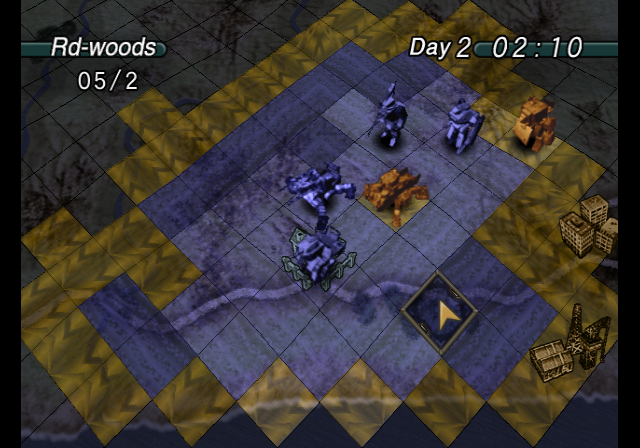 Basic movement is turn based, taking place on a grid map, with movement order decided in part by the last action taken by a given unit. 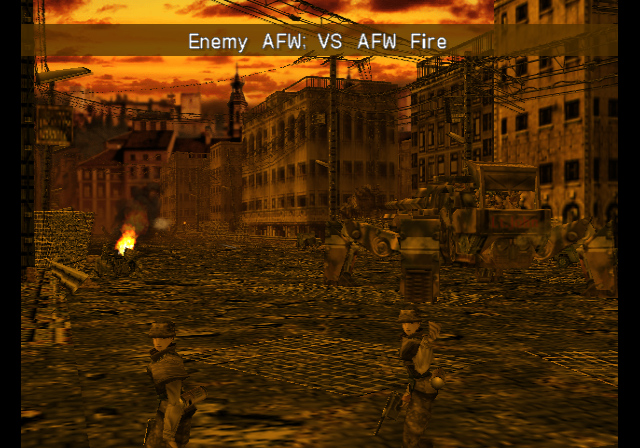 Actual combat between AFWs takes place in real time, with each skirmish lasting roughly ninety seconds. In order to fire, AFWs must stop moving and aim – the higher the pilot skill, the faster an AFW can draw an accurate aim. 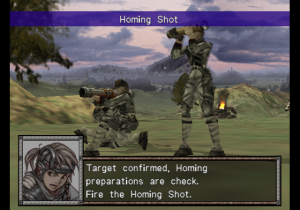 Firing a round without taking the proper time to accurately aim will usually result in the shot going awry, wasting precious time until the next round is loaded. 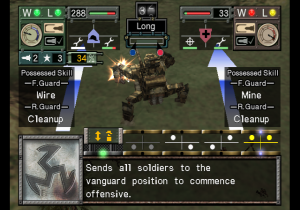 Depening on their skills, accompanying infantry can attack or disable enemy AFWs and even provide temporary repairs to allied AFWs. 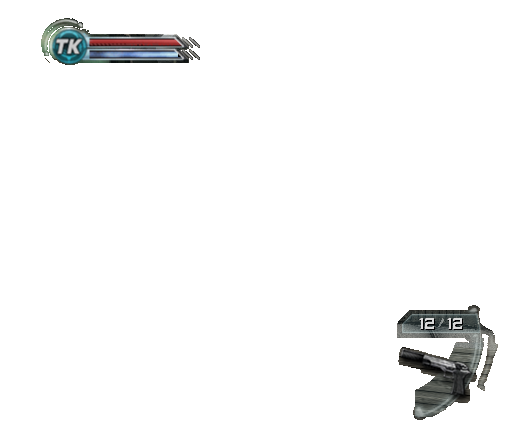 Graphically, the game definitely looks like an early PlayStation 2 game, as the models look rudimentary and many textures are blurry. In spite of this, the game has its moments. As AFWs take damage, parts fall off, and at dusk, the stages take on a golden orange hue that is still stunning when seen in motion. 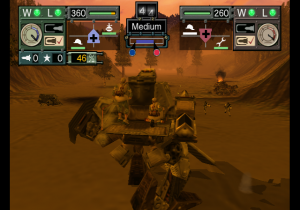 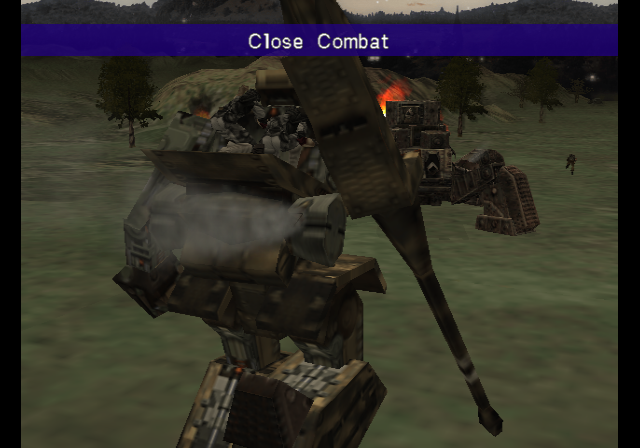 The sound design, while sufficient, is nothing remarkable and the music, though appropriate for a military robot strategy game, is largely forgettable. 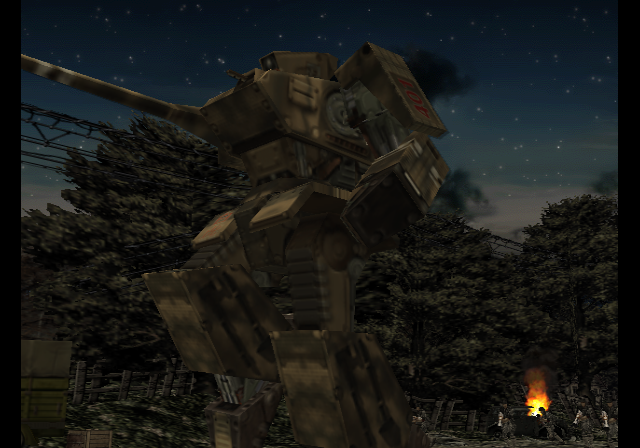 Ring of Red‘s strength lays in its reimagining of the mecha genre. 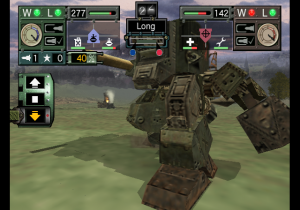 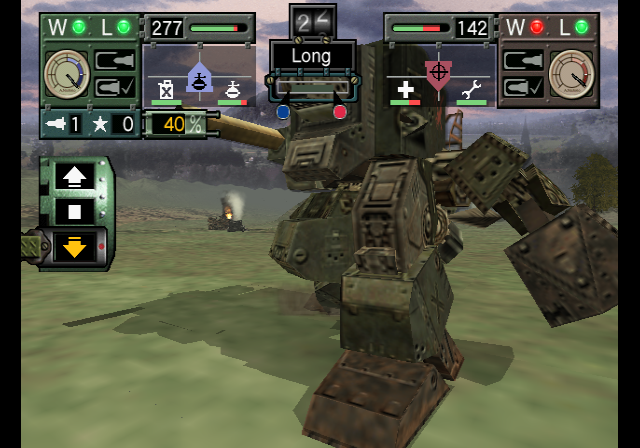 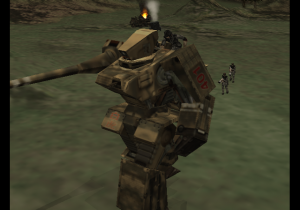 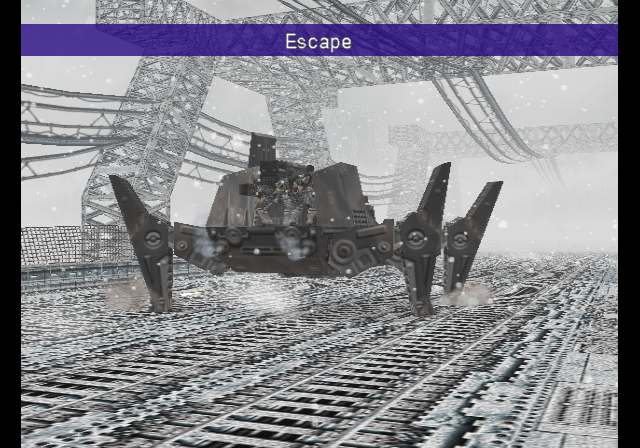 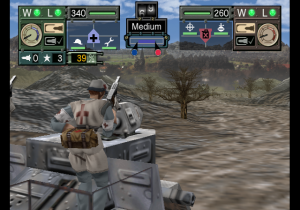 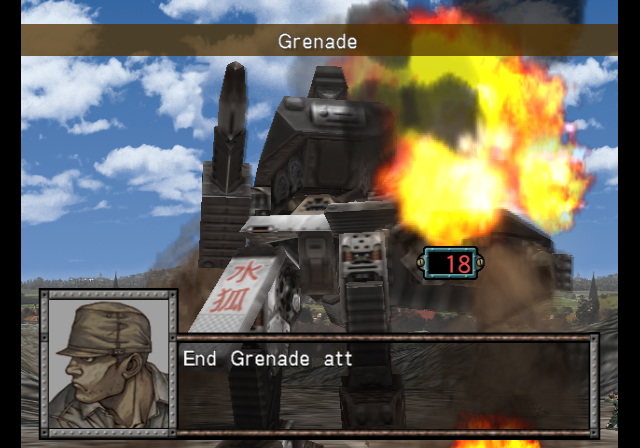 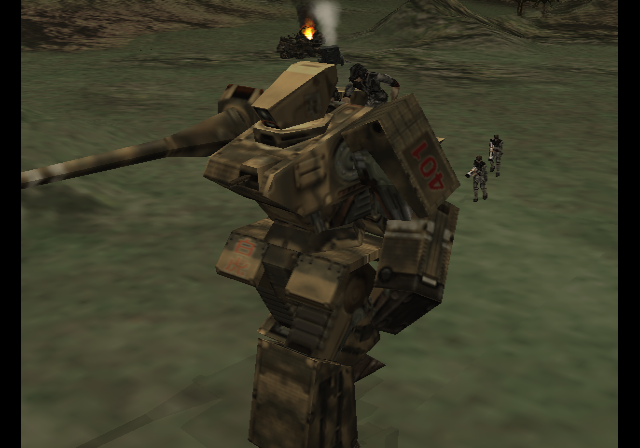 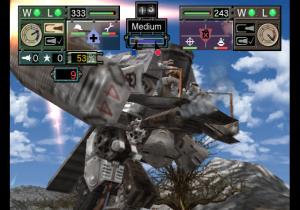 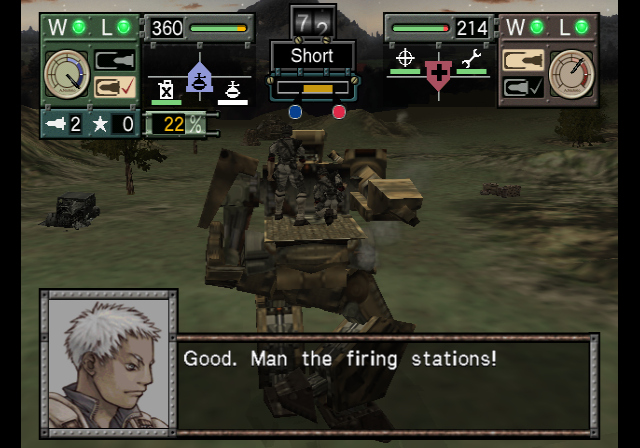 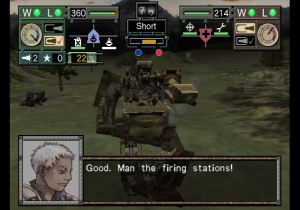 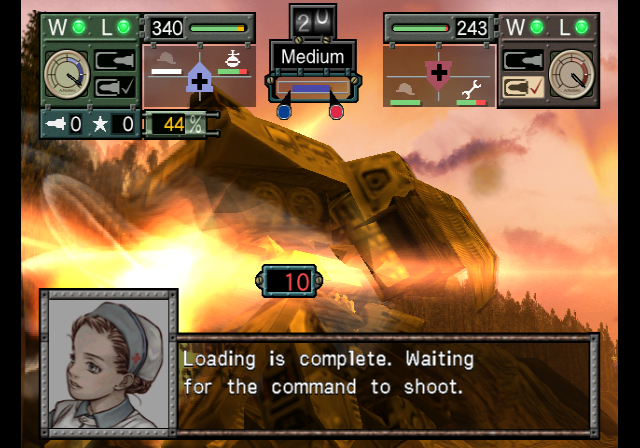 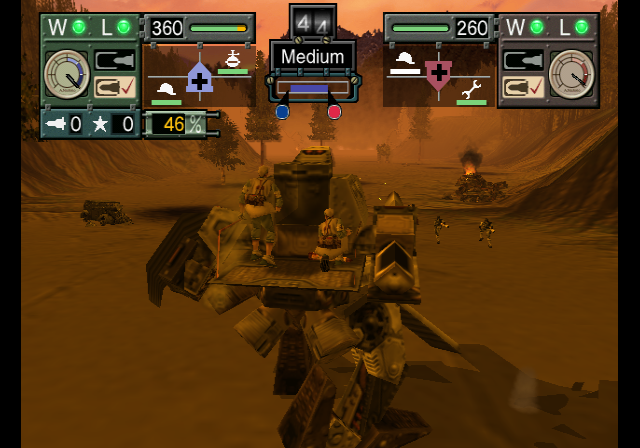 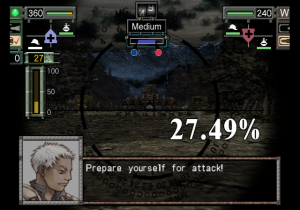 The gameplay comes off as a plausible simulation of what infantry and mecha combat coordination might actually look like. 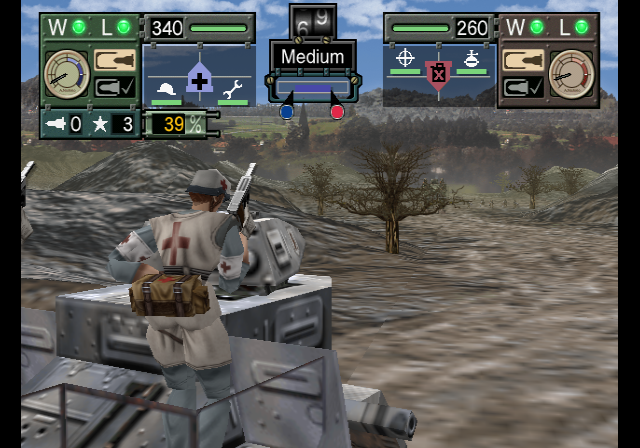 Unfortunately the lack of any further customization is a bummer, and in many cases, the real time battles are too repetitive and slow. Additionally, the plot, once stripped of its alternative 1960s Cold War trappings, is basically standard JRPG fare. Finally it must be noted that Ring of Red‘s suffers from a localization that one would have expected from a game made a decade earlier. 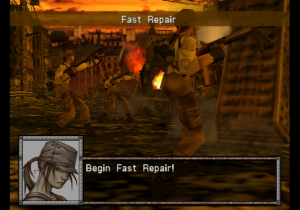 Not only are entire parts of the game changed or removed, but there are grammatical, factual, and spelling errors, and the writing is often awkward and stilted. 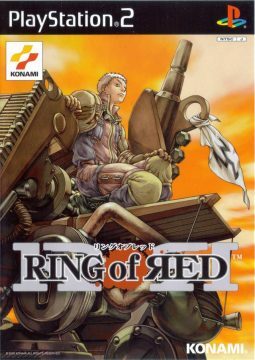 Given that earlier Konami games did not suffer from poor localizations, it makes one ponder if they either rushed the job when bringing Ring of Red to the foreign markets, or simply outsourced the job to people who really didn’t know what they where doing. Fortunately the poor localization does not render the game unplayable. 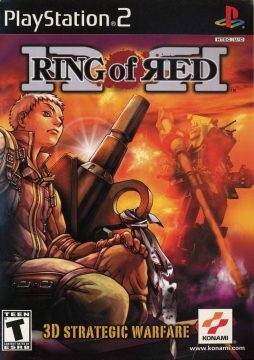 Alongside the game, a 257 page novel titled Ring of Red by Makoto Takeuchi was released. 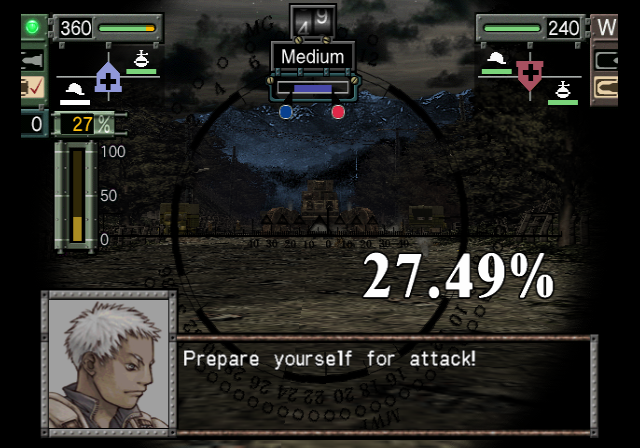 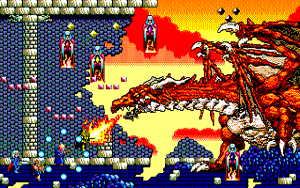 It further expands on the events and characters of the game. The book was not translated. 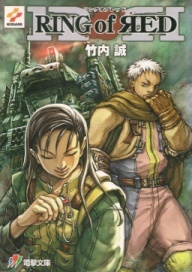 Published in Japan by MediaWorks on 2000-10-31, it has an ISBN number 978-4840216876.